Gregory Brian Leisz is an American musician born on September 18th, 1949 in Buffalo, NY. He is a songwriter, recording artist and producer. 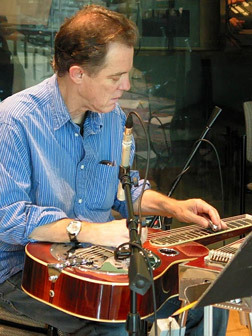 He plays guitar, dobro, mandolin, lap steel and pedal steel guitar.